Once upon a time, two future major league sports executives were starting their career at Point Park University. One day they decided to give back to their alma mater and The Pittsburgh Center for Sports Media and Marketing was born. Mike Fetchko, owner and managing director of ISM-USA, and Tom McMillan, vice president of communications for the Pittsburgh Penguins, launched The Pittsburgh Center for Sports Media and Marketing in 2011 at Point Park. The center focuses on regional, national and international topics and trends in the fast growing sports industry. The center brings leading executives from all facets of the sports and entertainment industries to the Point Park campus to speak at workshops and seminars. 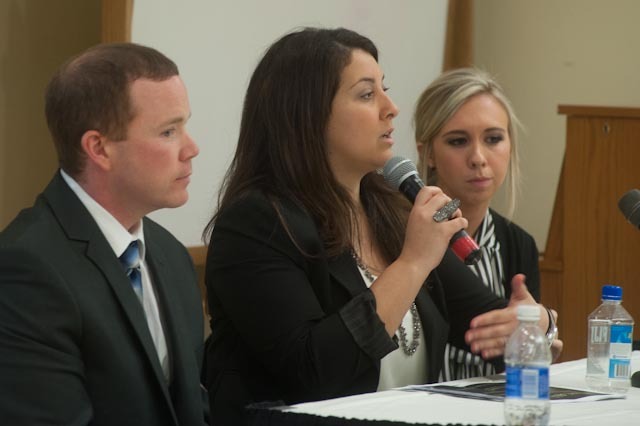 These events give Point Park students the opportunity to hear from top industry professionals about best practices and principles within sports media and marketing, and to make networking connections that can be vital to pursuing a career in the sports industry. Dejan Kovacevic, sports columnist and entrepreneur to present "The New Age of Sports Journalism"